View Hungary Visa Application Centre, Abu Dhabi, UAE phone number, email, address, working hours, website. View Hungary Visa Application Centre, Riyadh, Saudi Arabia phone number, email, address, working hours, website. View Hungary Visa Application Centre, Jeddah, Saudi Arabia phone number, email, address, working hours, website. View Hungary Visa Application Centre, Alkhobar, Saudi Arabia phone number, email, address, working hours, website. View Hungary Visa Application Centre, Kyiv, UKraine phone number, email, address, working hours, website. View Hungary Visa Application Centre, Dnipro, UKraine phone number, email, address, working hours, website. View Hungary Visa Application Centre, Kharkiv, UKraine phone number, email, address, working hours, website. View Hungary Visa Application Centre, Goa, India phone number, email, address, working hours, website. 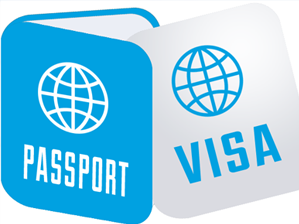 View Hungary Visa Application Centre, Odesa, UKraine phone number, email, address, working hours, website. View Hungary Visa Application Centre, Bangalore, India phone number, email, address, working hours, website.